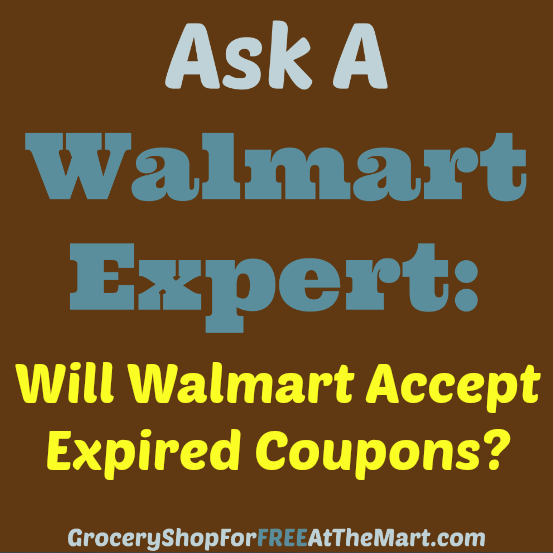 Ask a Walmart Expert: Does Walmart Accept Expired Coupons? Does Walmart Accept Expired Coupons? Short Answer: No, but only if the register reads it as expired. Since the advent of the new double GS1 barcodes on coupons last year, the expiration dates of coupons can now be embedded within the barcode. This means that every coupon that is scanned gets its expiration date checked and if the date has passed, the register will beep and refuse the coupon. However, every couponer will tell you that there have been times that they have used an expired coupon (accidentally or otherwise) and the register didn’t beep. What is going on? What you are seeing when that happens is the fact that some coupon manufacturers will put a little “grace period” into the expiration date. So if a coupon says it expires 2/28/15 on the text of the coupon, the date programmed into the barcode might be 3/31/15 so you have a little extra time to use it. Unfortunately, the only way you as a consumer can know that is if you happen to have access to a coupon barcode reader like QSeer. Let’s take a look at how a properly encoded coupon look. First up, here is the coupon..
Run of the mill Gevalia Kaffe coupon, let’s zoom in on the expiration date. And here is what we see when we scan the coupon with a coupon barcode scanner. Now let’s look at a different coupon. 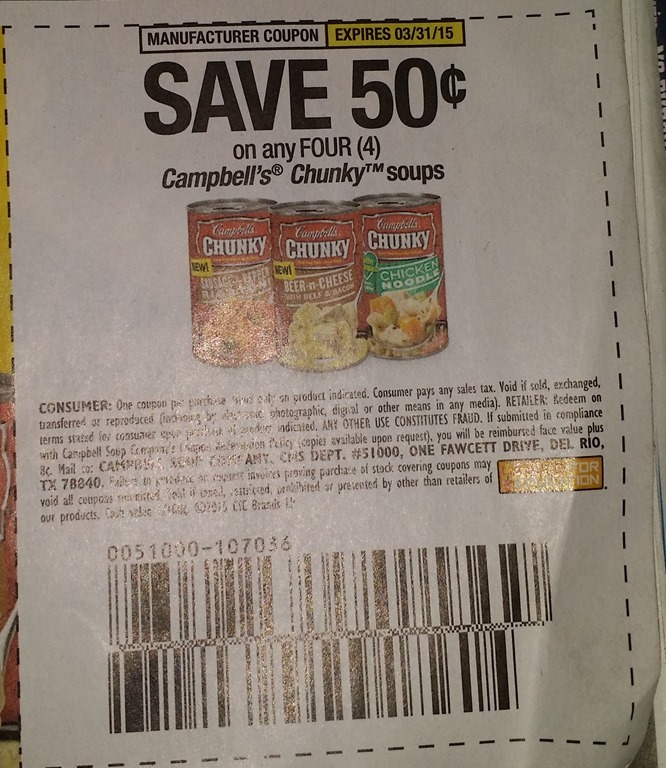 Again, just a run of the mill Campbell’s soup coupon. 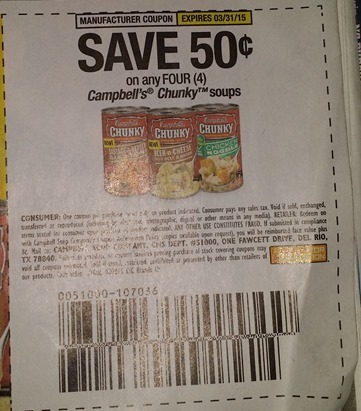 As you can see, the expiration date printed on the coupon is 3/31/15 but look what comes up when you scan it. As you can see, no expiration date is encoded into the coupon. This means that theoretically you could use this coupon 5 years from now and it will never cause the register to beep. That’s why sometimes the register will take an expired coupon and sometimes it won’t. As far as I know, no store has “we will take expired coupons” written into their coupon policy. It’s more like, if the register accepts it, we will accept it. The only place I know of that will take expired coupons as a matter of policy are overseas military commissaries. One other thing to keep in mind is that if a coupon is used more than a few months after the expiration date, the store will likely not be reimbursed so be careful and check your dates. Also, no one should take anything in this post as me saying you should use expired coupons. Everyone should still take the printed expiration dates on the coupons as gospel. I just want you to understand why it seems like stores will sometimes take an expired coupon and why sometimes they won’t. One other thing, everything in this post is valid for any store, not just Walmart. Will Target take expired coupons? The answer is the same as above. How about Kroger, or Safeway, or CVS? Same, same, same. Filed Under: Ask a Walmart Expert Tagged With: Does Walmart Accept Expired Coupons? 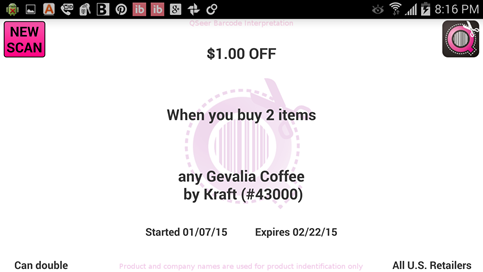 Ok those coupons scanned with QSeer that says no expiration date, can people keep using those? Will store still get reimbursed? If they have no expiration date, most stores will not accept them.